Welcome to the Shadow Ghost & complete gaming setup giveaway! ???? 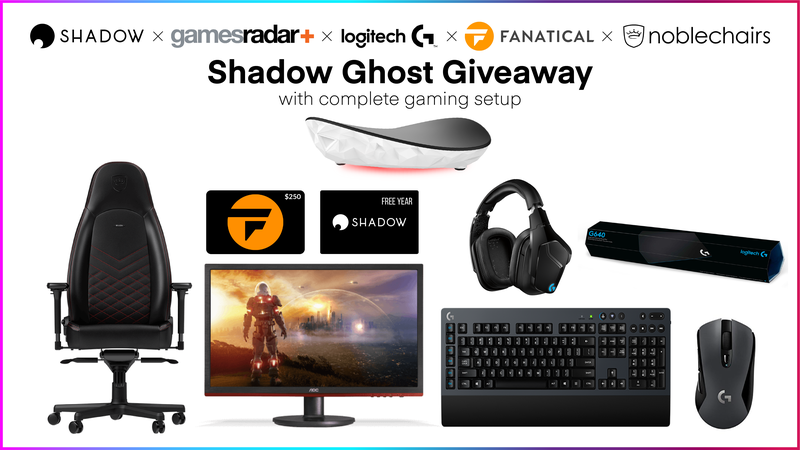 Thanks to participating partners, we're pleased to offer one lucky winner the following prize package: Shadow Ghost (currently sold out everywhere else) (x1) 1 year of Shadow (x1) Fanatical prize of games (x1) AOC G2260VWQ6 21.5" Monitor (x1) noblechairs ICON Black & Red (x1) Logitech G613 Wireless Mechanical Gaming Keyboard (x1) Logitech G603 Wireless Gaming Mouse (x1) Logitech G935 Wireless 7.1 Surround Lightsync Gaming Headset (x1) Logitech G640 Gaming Mousepad (x1) ???? Total Prize Value: $1719.31 / £1420.80 ???? Wishing all participants good luck! About Shadow Shadow is a powerful computer in the Cloud that turns any device into a Windows 10 gaming PC. Play Assassin's Creed Odyssey on your smartphone, PUBG on your MacBook, and render 3D images even on an ancient laptop. Learn more on Shadow.tech.